Celebration of Heroes' Day is connected with the struggle of Zambians against Britain for independence of their fatherland. Those men and women, who gave their lives for future well-being of their nation, are honored as heroes and heroines of Zambia. But these people don't make the whole list of the Zambian heroes. 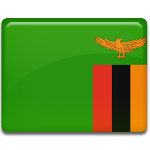 In 2004, Vice President Nevers Mumba proposed to include members of Zambian football team to the list of Zambian heroes. This proposal was connected with the events of 1993, when the Zambian Air Force jet crashed off the coast of Gabon. All 30 people on board of the plane, including 18 members of winning football team, died. The central point of observance of Heroes' Day is a statue in Lusaka, the capital of Zambia. The statue was erected during the presidency of Kenneth Kaunda, the first President of the state. He presented a nation a bronze statue of man with no shirt and shoes, raising a chained hand in the air. This statue is a rallying point of any holiday, observed in Zambia.